A luxurious unique algae based facial serum especially designed to tighten skin immediately visibly reducing fine lines & wrinkles. The results of Planet Skincare Instant Firming Serum will appear almost immediately. 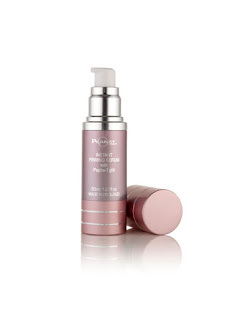 Planet Skincare Instant Firming serum softens and smoothes skin. Our serum contains essential skin vitamins and minerals. It protects and repairs even the most sensitive of skin types. Skin is velvet to the touch, soft and supple whilst providing a long term moisturising effect on the skin. 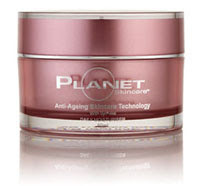 Men & women of any age or skin type can use Planet Skincare and benefit from the remarkable results. Our potent combination of active ingredients helps reduce the signs of ageing. Active ingredient Syn-ake® inhibits the release of neurotransmitters which cause facial muscle tension (fine lines & wrinkles). With the muscle contracted inhibited, fine lines & wrinkles are visibly reduced. Visibly reduce fine lines & wrinkles in 28 days! I will keep you updated on my progress and will post a video as soon as I have some news. So far it feels amazing but it is too early to say how well it works. I hope it delivers what it says! oh yes keep me updated...at 31 time is my enemy and this skin isnt gettin any younger! Sounds interresting so far... I can't wait to hear your thougts about those once you've tried them long enough. The best stuff I have used so far is from Zepter cosmetics. It's not available everywhere, but if you can get it, you should definitely try it!